Double, double toil and trouble, fire burn and cauldron bubble. We predict that Book of Spells will quickly become your favourite slot if you're a lover of all things witchy and magical. 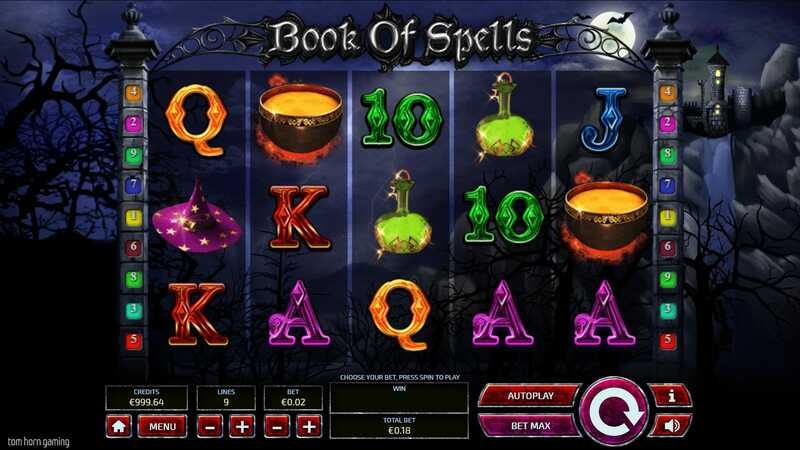 Book of Spells is a witch themed 5 reel, 10 payline slot which is enjoyable at any time of the year, not just Halloween. You may check out the new UK slots at Slots Baby with a spooky vibe, which will allow you to unveil all of the unknown witchcraft secrets within the magic book of spells through amazing features such as magical spins and a black magic bonus that will help you gain exciting and enchanting rewards. Have a look at other online slots games on SlotsBaby! Get the best out of our latest slot bonuses before you play the game! Book of Spells is a 5 reel, 10 payline witch themed slot which takes you on a spellbinding trip to the witch's castle where you're taught how to cast the most brilliant spells by the best and most powerful witch of the land. The reels are displayed behind an eerie midnight sky background filled with misty skies and a glowing full moon. In the distance you can see the haunted house which is home to a coven of witches. On the reels you can see a variety of spooky symbols including a cauldron, green magic potion, a red-headed witch, a purple witch hat laden with sparkly gold stars and the magical book of spells. Black Magic Bonus - The wild and scatter in this slot is the book of spells symbol and this replaces all other symbols on the reel to generate wins. 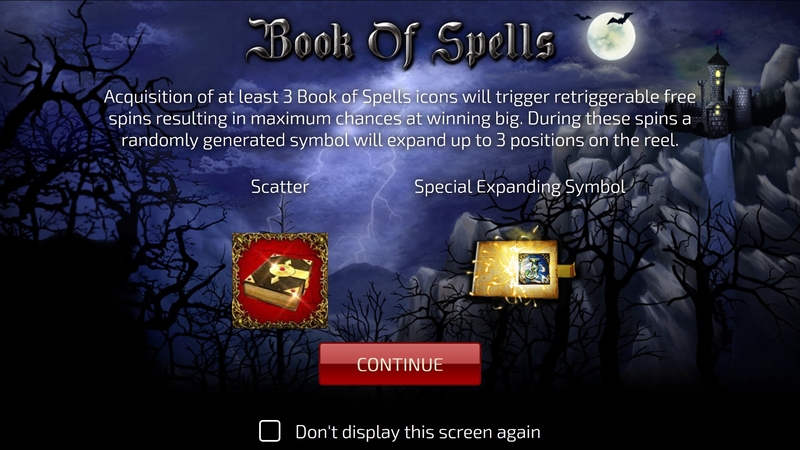 In the black magic bonus round you also have the opportunity to activate 12 free spins when 3 or more spell book symbols appear. The golden cauldron acts as an expanding symbol which helps cast good fortune.